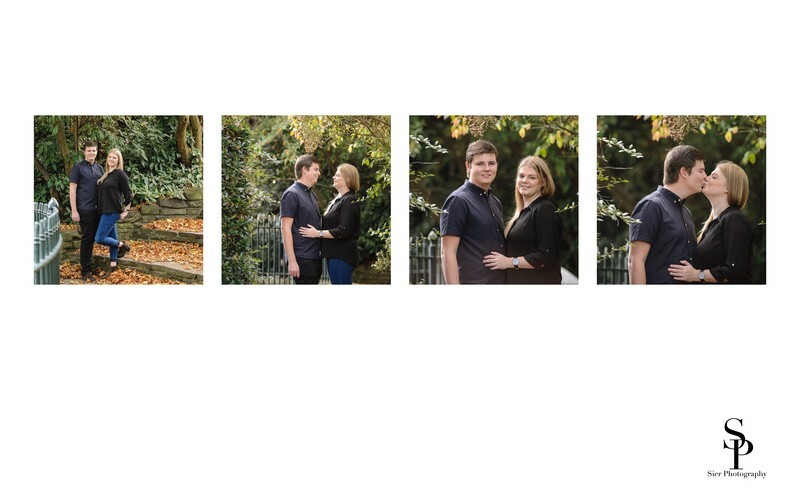 This album of images was created for this couple following there engagement photography session in the magnificent Sheffield Botanical Gardens. We love to undertake these photo shoots for our couples, particularly if one or both are a little nervous or unsure in front of the camera. We want to make our couples feel as at ease with us there as they can be. Being the centre of attention can sometimes feel a little strange and at least by having an idea that we are simply human too, and only want the best for our couples on their wedding day is one less thing to worry about when the big day arrives! We love to photograph in the Sheffield Botanical Gardens at any time of year, there is always something to see no matter what the season. This engagement photography shoot took place as summer was starting to turn to autumn, as the bright greens of summer started to give way to the warm, rich tones of autumn, one of my favourite times of the year. We have also photographed our couples here following weddings, it makes for a peaceful place to go with our couples so they can unwind after the stress of the ceremony and spend a little time together before the rest of the day's activities.